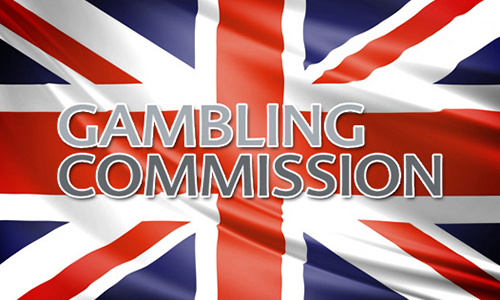 On Monday, March 29th, the United Kingdom Gambling Commission (UKGC) released its long-anticipated recommendations regarding consumer protection and the future of betting-shop and online gambling offerings in the UK. At the top of the list, amid the furor over addictive gambling behavior associated with fixed-odds betting terminals (FOBTs), is the recommendation that the maximum wager on the terminals be cut back from £100 to somewhere under £30. It’s a multi-part reduction being proposed by the Gambling Commission, however. FOBTs fall into the UK’s definition of Class B2 gaming devices, and the games offered on such devices range from popular slot-machine titles to bingo, keno, blackjack, video poker and more. For the slots-based category of B2 devices, the UKGC is recommending a far more restrictive cap, all the way down to £2 per wager. There’s far more to the UKGC’s recommendations, which came in the form of a 97-page paper titled, “Review of gaming machines and social responsibility measures – formal advice”. The advice goes on to the UK’s Department for Digital, Culture, Media and Sport (DCMS), which will incorporate it into that agency’s own recommendations. It was the DCMS, the UK’s primary consumer-protection agency that has been considering four different cutback levels for that maximum-wager standard. Among those options: a “most severe” cutback that would have seen the £2 max extended across all formats of B2 gaming devices. The slots-based devices have been linked to numerous high-profile, addictive-gambling stories in the United Kingdom in recent years. More so than with other forms of gaming devices or other gambling activities (though not exclusively), the slots-FOBT abuse has accompanied tales of theft and embezzlement, with the UKGC often forced to take long-arm steps to restore stolen and gambled funds to their initial owners. That in turn has led to a public outcry against gambling in general but against FOBTs in particular, spurring the governmental reviews. In forming a judgement, we think it is worth distinguishing between the different types of games that are available on B2 machines – slots games, which are like traditional fruit machine games, and other games, which include roulette (by far the most popular game on B2 machines). We think that there is a case for a £2 maximum stake for B2 slots, which was one of the options on which DCMS consulted. Drawing on data from 20 billion plays on B2 machines, we have looked at consumer losses as an indicator of the risk of gambling-related harm. Our analysis shows that, compared with non-slots players, slots players experience a greater proportion of significant losses. This reflects the particular risks associated with slots, which offer a lower return than non-slots games and less opportunity for players to manage their own risks through the way they play. In our view, the risks associated with this product outweigh the other factors […]. For all other B2 games, we agree with RGSB that there is a precautionary case for a stake cut below £50, which is now the effective limit for most players, and we think the maximum stake should be materially lower than £50. In our view, a precautionary approach should involve a stake limit at or below £30 if it is to have a significant effect on the potential for players to lose large amounts of money in a short space of time. The chosen level will depend on the weight that Ministers attach to risk of harm, implications for the way different products are regulated, consumer choice, and public and stakeholder opinion. However, we do not consider that a stake cut alone on B2s (irrespective of the level) would go far enough to address the risk of harm fully. We consider that it is necessary to recommend a package of measures to address harm. This package would not just address the risk of financial harm from B2 machines. It would also minimise the risk of diverting problematic play onto other machines or other forms of gambling, and would help to identify the range of indicators of problem gambling at a much earlier stage. The UKGC also included as one of its primary recommendations that new rules should be put into place that will make the maximum-wager cutbacks more effective. Those include a ban on being able to switch from one type of game to another, and possible ban on different types of games being allowed within a single venue, and an increase in the amount of time that must elapse before each successive bet can be placed. While the public outcry and the Gambling Commissions were centered on the FOBT controversy, the reach of the recommendations goes far afield from there. Online and mobile gaming operations in the UK have also been targeted for numerous consumer-protection violations spanning the entire range of services offered to British gamblers. 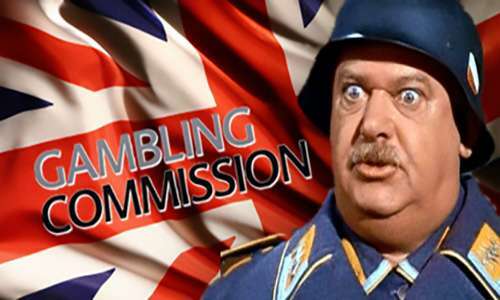 Most of what’s coming from the UKGC regarding online gambling and consume protections will be addressed in another report, to be released in the near future, but taste of what’s to come was included in Monday’s treatise. new requirements around customer interaction. We will also publish guidance on unfair terms, and provide more information to consumers about the treatment they should expect to receive to help embed the outcomes of the CMA’s work on unfair terms.